Many people walk into my office looking for advice about bankruptcy. 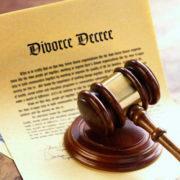 Often, major life events drive people to consider bankruptcy, such as divorce, significant illness, foreclosure, etc. Foreclosure is an especially interesting reason to consider bankruptcy because it provides options to either limit liability and/or help handle any arrearages. It really can help those who are in default with their mortgage; however, bankruptcy is not always the only option. Foreclosure can affect anyone. Maybe you were the perfect borrower; you made all your payments on time, even prepaying a little every month. Or maybe you had trouble making your mortgage payments, but you worked two jobs, got renters in your house, and did everything in your power to make the payments. Your payments were sometimes late, but never more than 30 days. Nonetheless, one day, you lose your job, you get sick, you are in a car accident, or something else happens and you cannot make your payments. You get one month behind, then two, and then a few more. Finally, a notice from your lender appears in your mailbox – your account is being referred out for foreclosure. 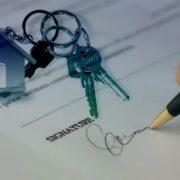 Most lenders only start the foreclosure process when you are three months behind or more. If you are approaching three months or more, then you really need to consider whether you will be able to bring your account current or if there any other options available to you. In some states, the foreclosure process is slow and can take months or years. In other states, after the foreclosure process starts you only have two months. For example, in Virginia, the foreclosure can occur in as little as two to three months after you get notice you are in default. Being proactive with your situation can help alleviate the stress and panic. However, if you have not considered your options prior to getting notice from your lender, then you should immediately figure out a plan and start talking to the right people. You do have various options, and it is important to understand them. Seek a loan modification with your lender. Lenders can sometimes understand that life happen. As a result, from time to time you can get them to work with you. For example, you lost your job and could not make your mortgage payment for six months, but now you have a new job. You have no problem making your mortgage payment going forward but cannot quickly pay off the money you are behind (the arrears). A modification can potentially spread your arrears over the course of the life of your loan or potentially tack them on to the end. For another example, maybe you did not lose your job, but your hours at your job have been cut. You can still make a mortgage payment, but not the full mortgage payment each month. A modification can sometimes lower your interest rate and potentially lower your payment. A modification may seem like a miracle, and for some it is. Often it is a great option when you can make payments, but need a little help either with your payment amount or arrearages. The first step in getting a modification is often talking to your lender and giving them a heads up about the situation. A modification is at the sole discretion of your lender – they do not have to offer you one and they do not have to give you one. But, it cannot hurt to try and often it is beneficial for them as well. Your lender will ask for significant amounts of information and documents. Make sure you get the documents to them as quickly as possible. Beware of the companies out there that advertise offering modifications services. Many of these services are scams. There are some individuals and companies that are legitimate and can really help with the process, and even make the situation easier for you. If you want/need help with the modification process make sure you find a legitimate company. Ask people for recommendations and search the web for reviews. File Chapter 13 to help repay arrearages. If a loan modification does not work, or is not an option at the time, there is the option of a Chapter 13. In a Chapter 13, the Bankruptcy Court basically helps you work out a repayment plan. This is for those individuals with regular income. The repayment plan allows you to make your normal mortgage payment going forward, while also making monthly payments to the court in order to catch up on your arrears. Plans are usually payments over the course of three to five years. The other benefit of a Chapter 13 is that it can help you handle all the rest of your debt, whether it is tax issues or credit card debt. 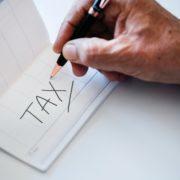 The plan payments are approved by the court, and the amount is based on your income and expenses that the court determines are reasonable, as well certain assets. 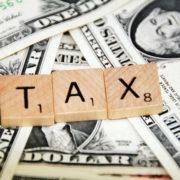 The plan must pay your arrearages and other important debts such as taxes. Your plan may also pay unsecured creditors anywhere from 0% to 100%, it just depends on what your payments will be. The benefit to a Chapter 13 is that if you can afford to catch up over the next three to five years and bring your mortgage current, the bank has to accept the plan. A modification is optional for the lender, bankruptcy is not. However, the downside is that it is up to the court to determine whether your plan is feasible. For many, they make expect to be making more money a year or two down the road, but without proof (such as a contract or a guaranteed future lump sum payment), it is too speculative and the court will not allow approve your plan. 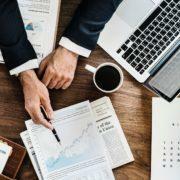 An experienced bankruptcy attorney can help point out the pros and cons of a Chapter 13 in your situation, and whether a plan would even be feasible in your situation. Sell your home to take advantage of your equity. If there is no way to bring your loan current, and there is equity in your home, you should consider selling it. A bank does not want to sell your home; selling your home means it costs them time and money. Also, if a bank forecloses, the possibility of you receiving any of the equity in the home in slim to none. If you sell the home, you can take that money and do what you want with it. Sometime, if you are actively trying to sell your home or you get a contract of the house, a lender will delay the foreclosure. But, just like a modification, it is in their sole discretion. Having an experienced realtor on your side in this situation is important. You need a realtor who not only knows how to act quickly, but who has also dealt with lenders before. An experienced realtor can present your situation to the lender in the most effective way and be your advocate. If there is no equity, a short sale may be an option. This allows you to sell your house for a loss (and not pay off the entire mortgage). 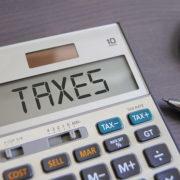 There can be tax consequences to a short sale and the lender may still come after you for a deficiency. File Chapter 7 to stop to limit liability and stop the foreclosure. If there is little or no equity in your home, and you have decided you likely cannot save it, then you may want to consider a Chapter 7 bankruptcy. A Chapter 7 can stop a foreclosure and give you enough time to figure out where you want to go. The bankruptcy also discharges your obligation to pay on the mortgage. While the lien will continue to exist on the property, the bank will foreclosure against the property after the bankruptcy is done and you will not be responsible for any deficiency on the property. This can also help wipe away any other unsecured debt that you may have. 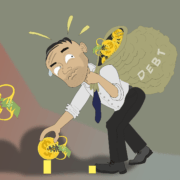 Importantly, after a bankruptcy, a debtor only must wait two years to qualify for a mortgage. If you allow the lender to foreclose or you file bankruptcy AFTER the foreclosure then you must wait 7 years to qualify for a mortgage. Not everyone can qualify for a Chapter 7. The bankruptcy court does consider your income and number of dependents in determining whether you can file a Chapter 7. If you cannot qualify for a Chapter 7, a Chapter 13 (that is discussed above) can be an option to surrender the house and limit any potential liability after the foreclosure. An experience bankruptcy attorney can help talk to you about the pros and cons of filing a bankruptcy and whether you could qualify. Do nothing and let the foreclosure happen. Sometimes, if you have to deal with other issues in your life and you just want to walk away from the house, doing nothing is your best option. If you do nothing to stop the foreclosure, it will proceed. The bank will continue with its course of action and after the sale, the house will no longer be your responsibility. There are many factors to consider here. After a foreclosure, you cannot qualify for a mortgage for 7 years. You will also be liable for any deficiency on the house after the sale. You lender can try to collect this remaining debt by taking you to court or garnishing part of your paycheck or your bank account. Even considering these negative factors, sometimes doing nothing is the best option. However, usually you can only come to this decision after reviewing your entire situation and considering all options. It is important to remember, all of these options should be considered in conjunction with each other. For example, if you are seeking a loan modification, you can still talk to a realtor so you have a backup plan. Similarly, you may also want to consult a bankruptcy attorney, so you can be prepared in case you cannot sell the house or the modification is unsuccessful. Similarly, a modification may also be an option while in a Chapter 13 or after a Chapter 7, it all depends. Just remember, sometimes Plan A works, but if it fails and you do not have a backup plan (or two), you can find yourself out of luck. Up until the day of the foreclosure you have options – take advantage of that time. 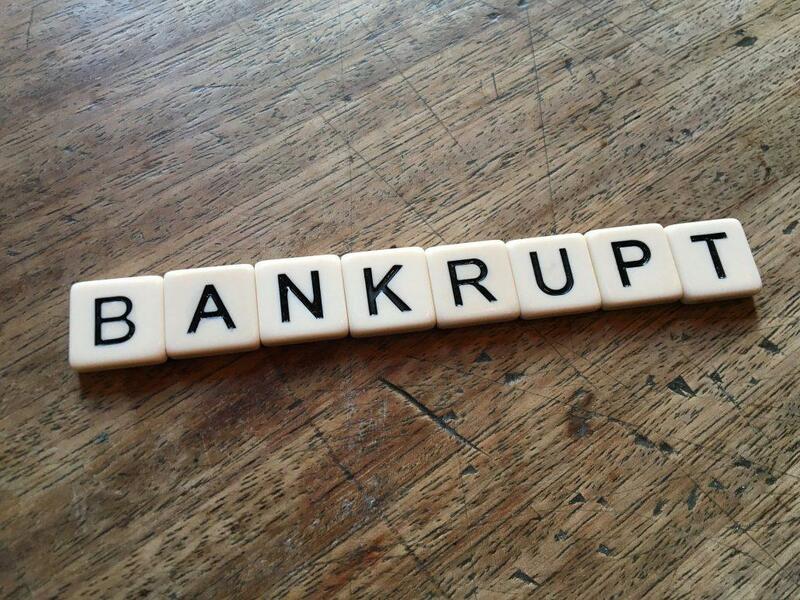 Talk to a bankruptcy attorney today. Timing can be an issue, especially if you have the option of selling your house or filing bankruptcy. Make an appointment with a bankruptcy attorney as soon as the possibility of foreclosure arises. Most bankruptcy attorneys offer free consultations, as does my office. Having more knowledge and information never hurts. Understanding all your options can only help you make the best decision for you and your family. Ashley F. Morgan, Esq. is a Virginia Bankruptcy Attorney. She helps individuals and business file bankruptcy in the northern Virginia area. Ashley understands bankruptcy should be your last option. She wants to help her clients review all potential options to avoid foreclosure to determine what is the best option in each person’s situation.